Your eyebrow pencil can double as the perfect eyeliner. Brow and eye pencils may look similar, but there are subtle differences. Brow pencils tend to be made of a lower wax. This means it generally has a longer wear, is matte, soft and super blendable.1 Brow pencils can be a perfect daytime eyeliner. The soft and blendable hues will look perfect for work or casual hangouts, especially on fair-haired women. If you have a favorite lipstick, try using it on your cheeks as well. Lipstick works as a great cream blush that often stays put longer than powder blushes.1 Plus, image how put-together you’ll look when your cheeks and lips match perfectly. If you are using a lip product on your face or anything near your eyes, make sure to test it before you apply it all to make sure you don’t have any allergic reactions. 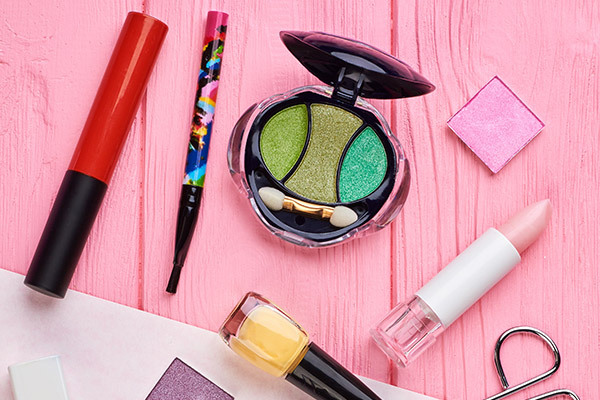 Do you ever use multi-tasking makeup products? Did you know some of these tips on this list? Which ones will you try? Share with us!